For other uses, see Grodno (disambiguation). Grodno, or Hrodna (Belarusian: Гродна, Hrodna [ˈɣrɔdna]; Polish: Grodno; Russian: Гродно, tr. Grodno, IPA: [ˈɡrodnə], see also other names) is a city in western Belarus. It is located on the Neman close to the borders of Poland and Lithuania (about 15 km (9 mi) and 30 km (19 mi) away respectively). It has 373,547 inhabitants (2019 census). It is the capital of Grodno Region and Grodno District. In Belarusian, the city is sometimes referred to as Го́радня or Гаро́дня. In Latin it was known as Grodna (-ae), in Polish as Grodno, in German as Garten, and in Yiddish as גראָדנע, Grodne. The Lithuanian name of the city is Gardinas. The modern city of Grodno originated as a small fortress and a fortified trading outpost maintained by the Rurikid princes on the border with the lands of the Baltic tribal union of the Yotvingians. The first reference to Grodno dates to 1005. The official foundation year is 1127. At this year Grodno was mentioned in the Primary Chronicle as Goroden' and located at a crossing of numerous trading routes, this Slavic settlement, possibly originating as far as the late 10th century, became the capital of a poorly attested but separate principality, ruled by Yaroslav the Wise's grandson and his descendants. Along with Navahrudak, Grodno was regarded as the main city on the western borderlands of Black Ruthenia. 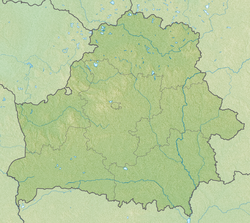 The border region neighboured the Grand Duchy of Lithuania. It was often attacked by various invaders, especially the Teutonic Knights. In the 1240–1250s the Grodno area, as well as the most of Black Ruthenia, was controlled by princes of Lithuanian origin (Mindaugas and others) to form the Baltic state—Grand Duchy of Lithuania—on these territories. After the Prussian uprisings a large population of Old Prussians moved to the region. The famous Lithuanian Grand Duke Vytautas was the prince of Grodno from 1376 to 1392, and he stayed there during his preparations for the Battle of Grunwald (1410). Since 1413, Grodno had been the administrative center of a powiat in Trakai Voivodeship. A 16th-century view of Grodno. The New Castle in Grodno used to be a summer residence of Polish–Lithuanian Commonwealth monarchs. To aid the reconstruction of trade and commerce, the grand dukes allowed the creation of a Jewish commune in 1389. It was one of the first Jewish communities in the grand duchy. In 1441 the city received its charter, based on the Magdeburg Law. The city was the site of two battles, Battle of Grodno (1706) and Battle of Grodno (1708) during the Great Northern War. After the First Partition of the Polish–Lithuanian Commonwealth, Grodno became the capital of the short-lived Grodno Voivodeship in 1793. As an important centre of trade, commerce, and culture, Grodno remained one of the places where the Sejms were held. Also, the Old and New Castles were often visited by the Commonwealth monarchs including famous Stephen Báthory of Poland who made a royal residence here. In 1793 the last Sejm in the history of the Commonwealth occurred at Grodno. Two years afterwards, in 1795, Russia obtained the city in the Third Partition of Poland. It was in the New Castle on November 25 of that year that the last Polish king and Lithuanian grand duke Stanisław August Poniatowski abdicated. In the Russian Empire, the city continued to serve its role as a seat of Grodno Governorate since 1801. The industrial activities, started in the late 18th century by Antoni Tyzenhaus, continued to develop. Like many other cities in Eastern Europe, Grodno had a significant Jewish population before the Holocaust: according to Russian census of 1897, out of the total population of 46,900, Jews constituted 22,700 (around 48%, or almost half of the total population). After the outbreak of World War I, Grodno was occupied by Germany (Sept 3 1915) and ceded by Bolshevist Russia under the Treaty of Brest-Litovsk in 1918. After the war the German government permitted a short-lived state to be set up there, the first one with a Belarusian name—the Belarusian People's Republic. This declared its independence from Russia in March 1918 in Minsk (known at that time as Mensk), but then the BNR's Rada (Council) had to leave Minsk and fled to Grodno. All this time the military authority in the city remained in German hands. After the outbreak of the Polish–Bolshevik War, the German commanders of the Ober Ost feared that the city might fall to Soviet Russia, so on April 27, 1919 they passed authority to Poland. The city was taken over by the Polish Army the following day and Polish administration was established in the city. The city was lost to the Red Army on July 20, 1920 in what became known as the First Battle of Grodno. The city was also claimed by Lithuanian government, after it was agreed by the Soviet–Lithuanian Treaty of 1920 signed on July 12, 1920 in Moscow that the city would be transferred to Lithuania. However, Soviet defeat in the Battle of Warsaw made these plans obsolete, and Lithuanian authority was never established in the city. Instead, the Red Army organised its last stand in the city and the Battle of Neman took place there. On September 23 the Polish Army recaptured the city. After the Peace Treaty of Riga, Grodno remained in Poland. Initially, prosperity was reduced due to the fact that the city remained only the capital of a powiat, while the capital of the voivodship was moved to Białystok. However, in the late 1920s the city became one of the biggest Polish Army garrisons. This brought the local economy back on track. Also, the city was a notable centre of Jewish culture, with roughly 37% of the city's population being Jewish. During the Polish Defensive War of September-October 1939 the garrison of Grodno was mostly used for the formation of numerous military units fighting against the invading Wehrmacht. In the course of the Soviet invasion of Poland (initiated on 17 September 1939) heavy fighting took place in the city between Soviet and improvised Polish forces, composed mostly of march battalions and volunteers. In the course of the Battle of Grodno (September 20 – September 22) the Red Army lost some hundred men (according to Polish sources; according to Soviet sources – 57 killed and 159 wounded) and also 19 tanks and 4 APCs destroyed or damaged. The Polish side suffered at least 100 killed in action, military and civil, but losses still remain uncertain in detail (Soviet sources claim 644 killed and 1543 captives with many guns and machine guns etc. captured). Many more Poles were shot[by whom?] in mass executions after being imprisoned. After the Soviet forces surrounded the engaged Polish units, the remaining Polish units withdrew to Lithuania. In accordance with the Molotov–Ribbentrop Pact of August 1939, the city became part of the Byelorussian Soviet Socialist Republic of the Soviet Union, and several thousand of the city's Polish inhabitants were deported to remote areas of the Soviet Union. On June 23, 1941 the city came under German occupation that lasted until 16 July 1944. Surviving inmates of the Grodno prison were released and the scale of the NKVD prisoner massacres revealed. In the course of the Operation Barbarossa in World War II, the majority of Jews were herded by the Nazis into the Grodno Ghetto and subsequently exterminated in German concentration camps. Since 1945 the city has been a centre of one of the provinces of the Byelorussian SSR, now of the independent Republic of Belarus. Most of the Polish inhabitants were expelled or fled to Poland in 1944–1946 and 1955–1959. However nowadays Poles are still the second-most numerous nationality in the city (25%), after Belarusians (60%). Jews began to settle in Grodno in the 14th century after the approval given to them by the Lithuanian prince Vitland. During the next years their status had changed several times and in 1495 the Jews were deported from the city and banned from settling in Grodno (the ban was lifted in 1503). In 1560 there were 60 Jewish families in Grodno, the Jews were concentrated on the "Jewish street" with their own synagogue and "hospital". In the year 1578 the great synagogue of Grodno was built by rabbi Mordehai Yaffe (Baal ha-Levush). The synagogue was severely damaged in a fire in 1599. The community was not affected by the Khmelnitsky uprising but suffered during the 1655 Cossack uprising and during the war with Sweden (1703–1708). After Grodno was annexed by the Russian empire in 1795 the Jewish population continued to grow and in 1907 there were 25,000 Jews out of total population of 47,000. In the period of independent Poland a yeshiva had operated in the city (Shaar ha-tora) under the management of Rabbi Shimon Shkop. Before the Nazi-Soviet invasion of Poland there were about 25,000 Jews in Grodno out of 50,000 total population. After the German attack on the Soviet positions in eastern Poland, on November 1, 1942 the Jews were concentrated in 2 ghettos – 15,000 men were confined to the old part of the city where the main synagogue was located. A high wall of 2 meters was built around the ghetto. The second ghetto was located in the Slovodka part of the city with 10,000 inhabitants. The head of the Judenrat was appointed Dr. Braur, the school's headmaster, who served in this duty until his execution in 1943. On November 2, 1942, the deportations to the death camps began and during 5 days in February 1943, 10,000 Jews were sent to Auschwitz. Later, on February 13, 5,000 Jews were sent to Treblinka. During the deportations, many synagogues were looted and some people were murdered. The last Jews were deported in March, 1943. By the end of the war, only one Jew had remained in the ghetto. After the war, the Jewish community was revived. Most of the Jews emigrated after the collapse of the Soviet Union. Today there are several hundred Jews in the city with most of community's activity centralized in the main synagogue that had been returned to the community by the authorities in the 1990s. The head of the community is Rabbi Yitzhak Kaufman. A memorial plaque, commemorating the 25,000 Jews who were exterminated in the two ghettos in the city of Grodno was placed on a building in Zamkova Street, where the entrance to the ghetto once was. On November 12, 2012, the memorial plaque was vandalized, allegedly as an anti-Semitic act. The following rivers flow through the city: the Neman River, the Lasosna River and the Haradnichanka River with its branch the Yurysdyka River. The city has one of the largest concentrations of Roman Catholics in Belarus. It is also a centre of Polish culture, with a significant number of Poles living in Belarus residing in the city and its surroundings. All the while, the Eastern Orthodox population is also widely present. The city's Catholic and Orthodox churches are important architectural treasures. The city is known for Grodno State Medical University where many students from different parts of Belarus acquire academic degrees, as do a good number of foreign students. Other higher educational establishments are Yanka Kupala State University of Grodno (the largest education centre in Hrodna Province) and Grodno State Agrarian University. To support the Polish community, a Polish school was built in 1995, where all subjects are taught in Polish and students are able to pass exams to get accepted into Polish universities. The town was planned to be dominated by the Old Grodno Castle, first built in stone by Grand Duke Vytautas and thoroughly rebuilt in the Renaissance style by Scotto from Parma at the behest of Stefan Batory, who made the castle his principal residence. Batory died at this palace seven years later (December, 1586) and originally was interred in Hrodna. (His autopsy there was the first to take place in Eastern Europe.) After his death, the castle was altered on numerous occasions, although a 17th-century stone arch bridge linking it with the city still survives. The Saxon monarchs of Poland were dissatisfied with the old residence and commissioned Matthäus Daniel Pöppelmann to design the New Grodno Castle, whose once sumptuous Baroque interiors were destroyed during World War II. The Jesuit Cathedral of Hrodna (1678–1705). The oldest extant structure in Grodno is the Kalozha Church of Sts. Boris and Gleb (Belarusian: Каложская царква). It is the only surviving monument of ancient Black Ruthenian architecture, distinguished from other Orthodox churches by prolific use of polychrome faceted stones of blue, green or red tint which could be arranged to form crosses or other figures on the wall. The church was built before 1183 and survived intact until 1853, when the south wall collapsed, due to its perilous location on the high bank of the Neman. During restoration works, some fragments of 12th-century frescos were discovered in the apses. Remains of four other churches in the same style, decorated with pitchers and coloured stones instead of frescos, were discovered in Grodno and Vawkavysk. They all date back to the turn of the 13th century, as do remains of the first stone palace in the Old Castle. Probably the most spectacular landmark of Hrodna is the Cathedral of St. Francis Xavier, the former (until 1773) Jesuit church on Batory Square (now: Soviet Square). This confident specimen of high Baroque architecture, exceeding 50 metres in height, was started in 1678. Due to wars that rocked Poland-Lithuania at that time, the cathedral was consecrated only 27 years later, in the presence of Peter the Great and Augustus the Strong. Its late Baroque frescoes were executed in 1752. The extensive grounds of the Bernardine monastery (1602–18), renovated in 1680 and 1738, display all the styles flourishing in the 17th century, from Gothic to Baroque. The interior is considered a masterpiece of so-called Vilnius Baroque. Other monastic establishments include the old Franciscan cloister (1635), Basilian convent (1720–51, by Giuseppe Fontana III), the church of the Bridgettine cloister (1642, one of the earliest Baroque buildings in the region) with the wooden two-storey dormitory (1630s) still standing on the grounds, and the 18th-century buildings of the Dominican monastery (its cathedral was demolished in 1874). Among other sights in Hrodna and its environs, we should mention the Orthodox cathedral, a polychrome Russian Revival extravaganza from 1904; the botanical garden, the first in the Polish–Lithuanian Commonwealth, founded in 1774; a curiously curved building on the central square (1780s); a 254-metre-high TV tower (1984); and Stanisławów, a summer residence of the last Polish king. The city is served by Hrodna Airport located 18 km south-east of Grodno. Some seasonal international and charter flights are available throughout the year. Grodno State University named after Yanka Kupala, Grodno State Medical University, Grodno State Agrarian University, Grodno Higher Theological Seminary, many colleges, 41 middleschools (or secondary schools). In 21 club municipal office more than 220 collectives, circles and also studios of amateur performances work. In them about 6500 children and adults are engaged. From 83 on-stage performance groups the rank "national" is carried 39, "exemplary" — 43, "professional" — 1. Since 1996 the biggest in Belarus Festival of National Cultures is hold in Grodno Every two years the Festival of National Cultures invites many guests into the city. Annually in Grodno festivals of national holidays and ceremonies are held: "Student's spring", international festival of piano music, republican festival of theatrical youth. In 2001 the Grodno regional executive committee founded Alexander Dubko's award — the governor of Grodnenshchina — for the best creative achievements in the sphere of culture. 84 persons have been awarded with this prize. Valery Tsepkalo (born 1965), diplomat and executive, founder of Belarus Hi-Tech Park. Maksim Bahdanovič (1891–1917), a famous Belarusian poet, journalist and literary critic. ^ "Численность населения по г. Гродно и районам Гродненской области на 1 января каждого года с 1996 по 2019гг./Population of Grodno and rayons of the Grodno region" (in Russian). grodno.belstat.gov.by. 1 January 2019. ^ a b Археографический ежегодник за 1964 год. The Academy of Sciences of the USSR, 1965, p.271. Name derives from the Old East Slavic verb gorodit, i.e., to enclose, to fence (see "grad" for details). ^ Anderson, F.L.M., 1864, Seven Months' Residence in Russian Poland in 1863, London: Macmillan and Co.
^ Witold Ławrynowicz (April 1, 2002). "The Defense of Grodno. July 17 – 20, 1920". Tanks e-Magazine. www.tankhistory.com (5). Archived from the original on August 11, 2014. Retrieved 2012-05-07. ^ Institute of National Remembrance, Lato 1941 – polski dramat (Summer of 1941 – the Polish drama). [permanent dead link] Special Issue, 22 June 2011. PDF file, 1.63 MB. ^ a b ЭЕЭ 2005. ^ The Holocaust in Grodno. ^ "Акт вандализма в Гродно". Агентство еврейских новостей. Archived from the original on 5 March 2016. Retrieved 12 January 2013. ^ "Weather and Climate- The Climate of Grodno" (in Russian). Weather and Climate (Погода и климат). Retrieved 28 November 2015. ^ "Солнечное сияние. Обобщения II часть: Таблица 2.1. Характеристики продолжительности и суточный ход (доли часа) солнечного сияния. Продолжение" (in Russian). Department of Hydrometeorology. Archived from the original on 26 April 2017. Retrieved 25 April 2017. ^ Roberts, Nigel. Belarus (3 ed.). Bucks, England: Bradt Travel Guides. p. 220. ISBN 9781841629667. Retrieved 31 May 2017. 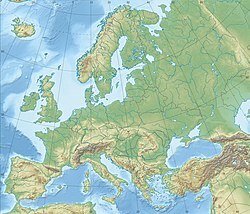 ^ "Grodno Branch of BELAERONAVIGATSIA Republican Unitary Air Navigation Services Enterprise". BELAERONAVIGATSIA Republican Unitary Air Navigation Services Enterprise. Retrieved 3 February 2019. ^ "О ЦСК Неман/About CSC Neman" (in Russian). CSC Neman. ^ "Многофункциональная трансформируемая арена/About Hrodna Ice Sports Palace" (in Russian). HC Nyoman (Hrodna). ^ "О хоккейном клубе Неман/About HC Nyoman Hrodna" (in Russian). HC Nyoman (Hrodna). ^ "Состав хоккейного клуба Неман-2/Roster of HC Nyoman-2 Hrodna" (in Russian). HC Nyoman (Hrodna). ^ a b c "Культура и искусство". Гродненский городской исполнительный комитет. Archived from the original on 2012-06-21. Retrieved 2012-05-05. ^ Марцинович 2008, p. 96. ^ Korolczuk, Dariusz (12 Jan 2010). "Foreign cooperation – Partner Cities". Białystok City Council. City Office in Białystok. Retrieved 2013-03-22. ^ "Tarptautinis Bendradarbiavimas" [Druskininkai international cooperation]. Druskininkų savivaldybės administracija (in Lithuanian). 2012-03-22. Retrieved 2013-08-03. William Coxe (1784). "Grodno". Travels into Poland, Russia, Sweden and Denmark. London: Printed by J. Nichols, for T. Cadell. OCLC 654136. "Grodno". Hand-book for Travellers in Russia, Poland, and Finland (2nd ed.). London: John Murray. 1868. "Grodno". The Encyclopædia Britannica (11th ed.). New York: Encyclopædia Britannica. 1910. OCLC 14782424. "Grodno". Russia with Teheran, Port Arthur, and Peking. Leipzig: Karl Baedeker. 1914. OCLC 1328163. Wikivoyage has a travel guide for Grodno.